One of these dresses is Madewell and the other is Old Navy. Can you figure it out from this post? (answer is at the bottom). Dress #1: I tried to mix it up a little so you wouldn't know which dress was which until you got here... If you guessed Madewell for this one, you were correct! Dress #2: And if you guessed this one was Old Navy for this one, you were also correct! Don't get me wrong, I LOVE LOVE LOVE Madewell, but I think they over price some of their items sometimes, making me look on other sites like Forever 21 to find a similar piece. 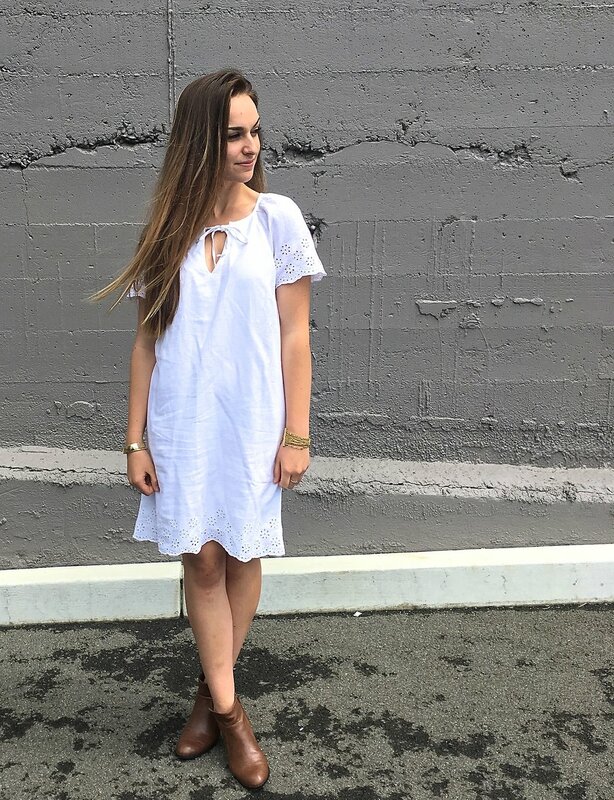 The other day I was on Old Navy, because they were having a sale, and I got this white dress as an option for Easter. 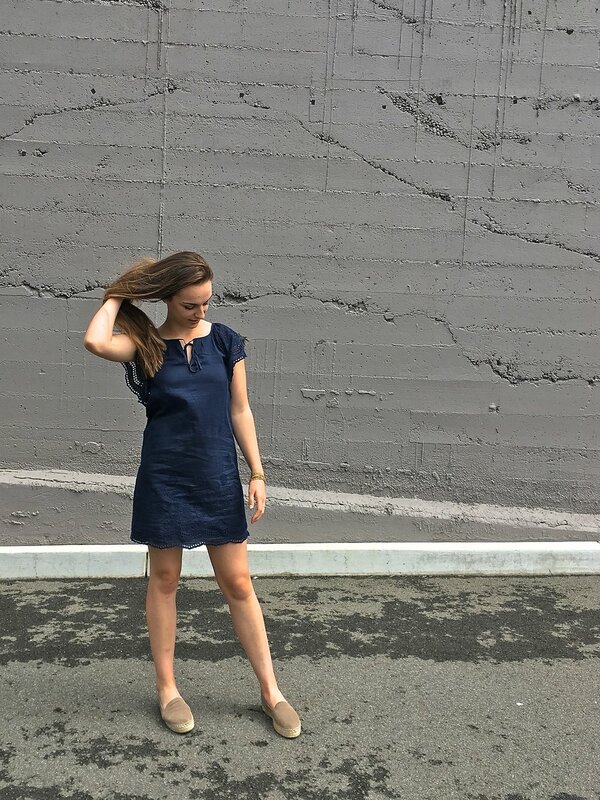 I realized that my sister basically had the same dress, but in blue and from Madewell. So, naturally we compared prices and found that she paid $131 more dollars (plus tax) on her dress than I did. If I'm being 100% honest, I don't have many complaints for either dress. 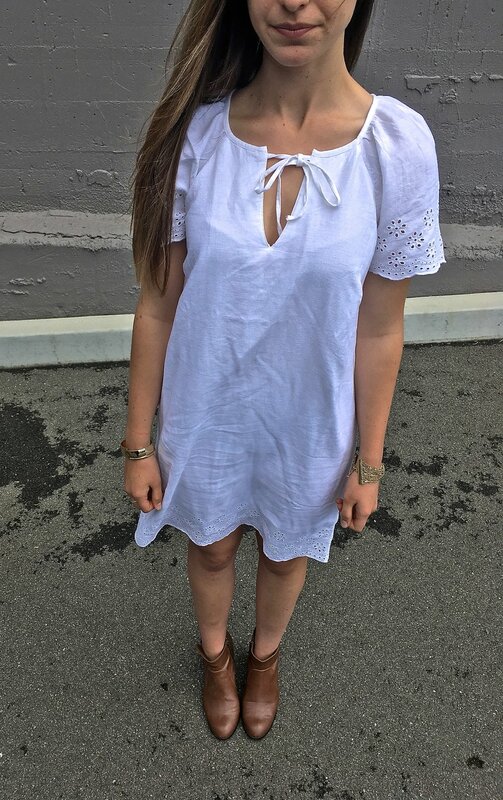 However, because I ordered this Old Navy dress online it didn't fit perfectly, so I would probably go with one size smaller (unless I wanted a more flowy summer look). As for the Madewell dress, it was a little tight around the bust, but everywhere else (length and width) fit perfectly. Material wise, I like the fact that the Madewell dress is made from cotton. This makes it more soft/smooth and overall more comfortable to wear throughout the day (especially if it's hot and sweaty). 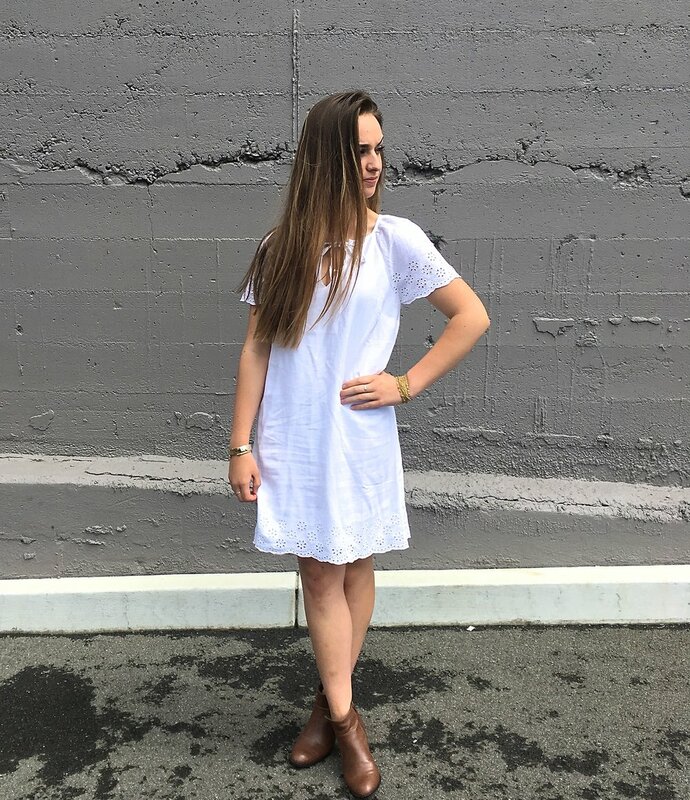 The Old Navy dress, made from Linen, is a little more itchy and less comfortable, but at the same time, looks a little more laid back, perfect for a warm summer picnic day. The details on both dresses are a bit different but both look great. 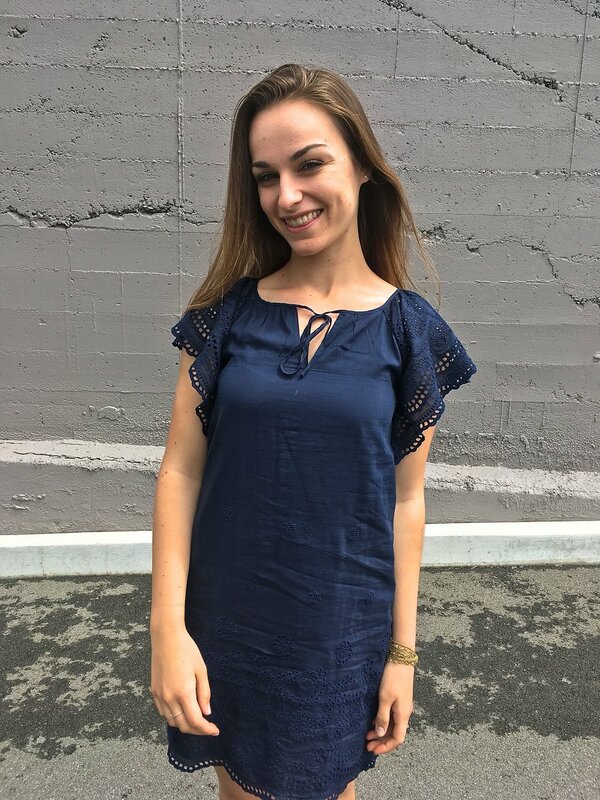 The sleeves on the Madewell dress are a little more vivacious and perky whereas the Old Navy Sleeve go down your arm a little. I love them both! Overall, I've come to learn that if I'm gonna spend a little more money, I want to wear that item of clothing and get my bang for my buck. So for this dress in particular, I'm happy with my Old Navy purchase. What was your prediction? Let me know in the comments below! Hope you enjoyed this post and have a great Thursday!